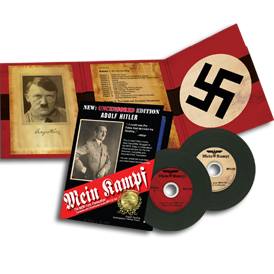 The English translations of Mein Kampf have all been very poor and contained thousands of errors as revealed in the book Mein Kampf: A Translation Controversy. Fortunately, a new translation has been completed in 2009 which is the easiest to understand and the most accurate translation ever made. The thousands of errors have been corrected and previously omitted parts of Mein Kampf are also included. 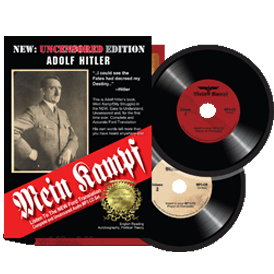 This new translation is also available in an audio book which marks the first time any Mein Kampf edition has been available in audio. Listen to a sample now. 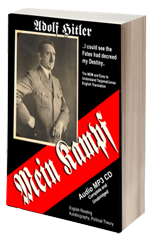 You have never heard the real Mein Kampf until you have heard the Ford translation. Thousands of errors in Mein Kampf have now been revealed and documented. Download this free book to find out the truth that has been hidden for 65 years. 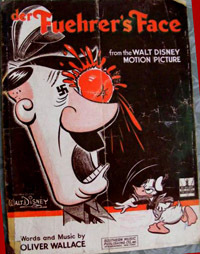 Official US Army educational book to explain Mein Kampf to soldiers. Free Download.